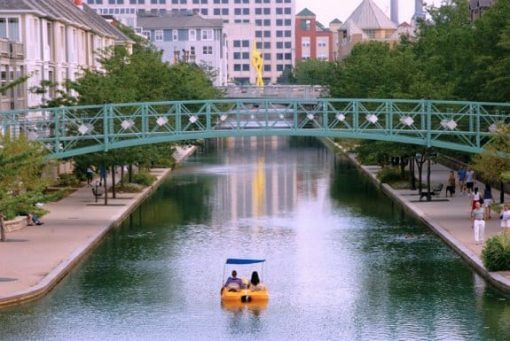 Forbes Magazine recently listed Indianapolis as one of the top cities for a weekend adventure. Citing the number of athletic events that take place within the capital city and its convenient close to Chicago, Louisville, Cincinnati and St. Louis. In fact, 65% of the U.S. population lives within one day’s drive, making Indy an easily accessed travel destination. 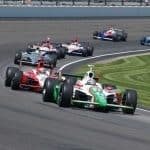 Home to the Indianapolis Motor Speedway, Indianapolis Colts, Indiana Pacers, minor league Indianapolis Indians and the NCAA national headquarters, sporting events and spectator sports are a major part of city life. 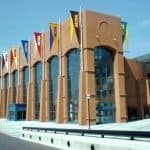 But, as a native Hoosier, I can proudly tell you that a visit to Indianapolis offers so much more than sports. Indianapolis boasts over 100 art galleries and museums offering a wide variety of art collections from student creations at IU Herron School of Art and Design Gallery to the StutzArtSpace, a visual art center housing members of the Stutz Artist Association studio in the original Stutz Auto Factory. Other galleries display the work of individual artists, many offering monthly openings and gallery walks. 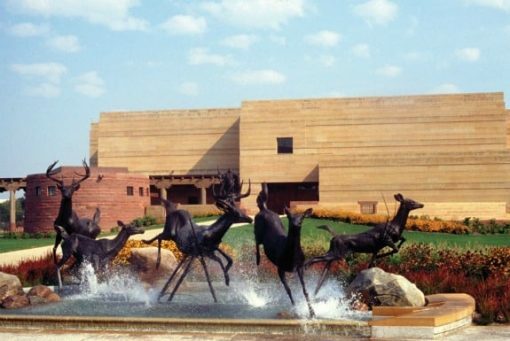 Among the museums is the Eiteljorg Museum, proudly boasting the largest and best collection of Western and Native American Art, east of the Mississippi and the Indianapolis Museum of Art, the 10th largest art museum in the United States. Offering daily free admission you can also explore the art and nature park known as 100 Acres. Also located on the museum campus is Oldfield’s – Lilly House and Gardens. Open seasonally, April 1 – December 31, I enjoy packing a spring picnic, relaxing and soaking up the beauty of the 26-acre estate of the Lilly family. Proud of fellow Hoosiers that have sacrificed and served in the armed forces, Indianapolis has devoted more acreage to honoring veterans than any other city. The Indiana War Memorial Plaza, located within downtown Indianapolis consists of museums and structures, open spaces and sculptures including the Soldiers & Sailors Monument, Indiana World War Memorial, USS Indianapolis Memorial, and the Colonel Eli Lilly Civil War Museum. The Indiana War Memorial Museum is open Tuesday – Sunday, with no admission fee charged. Crown Hill Cemetery was established in 1864 and is listed on the National Historic Registry for its notable buildings, memorial artworks and the historical figures buried here. Noted in Midwest Living for the public walking and private group tours offered, visitors can discover the final resting place of such notables as President Benjamin Harrison, James Whitcomb Riley, John Dillinger, legends in the automobile industry like Stutz and Duesenburg among others. The 555-acre cemetery is remarkably peaceful and I found a visit during Memorial Day Weekend that included civil war re-enactors, an honor guard, and musical performances to be quite moving. The largest living history museum and Smithsonian Institute affiliate, Conner Prairie sits just north of Indianapolis. Known as the original 1823 home of William Conner, a fur-trader turned wealthy businessman, landowner and statesman, the property was purchased in the 1930’s by Eli Lilly. Originally used for historical reenactments, additions to the property established Conner Prairie as a living history museum in the 1970s. Over the decades, Conner Prairie has developed into an interactive history park where visitors of today join staff who dress, act and speak as if they were in the time period. A place I visited on field trips as a student myself, I still enjoy visiting today with every visit bringing about a new interaction and experience. Indiana State Museum, located within White River State Park and adjacent to the Eiteljorg Museum, holds the rich history of Indiana and its residents. Offering exhibits and an IMAX theater, a visit here is not complete without a stop at the L.S. Ayres Tea Room. A recreation of the classic downtown Indianapolis department store lunchroom that operated from 1905-1990, the tea room offers guests iconic menu items like Chicken Velvet Soup and the Children’s Hobo Lunch that comes tied in the classic red bandanna. With nonstop flashbacks, I can remember dining in the original Tea Room, watching models sashaying around the tables dressed in the most recent fashions. 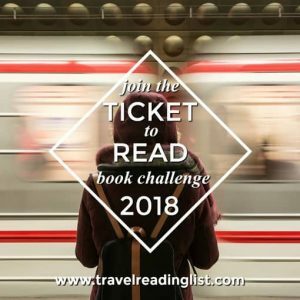 I reminisced about an era of hats and white gloves as each bite tasted exactly as I recall. Don’t let the name fool you, the Children’s Museum of Indianapolis will intrigue visitors of all ages. 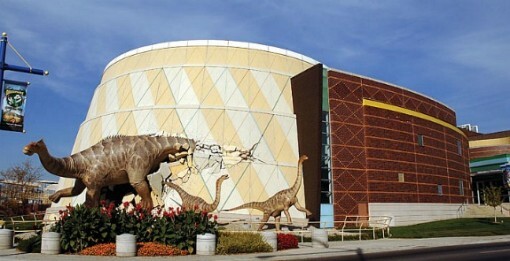 Known as the world’s largest and best children’s museum, guests have a chance to explore permanent and rotating exhibits touching on subjects from science to health, history to toys, dinosaurs to life in other cultures. An extremely moving and thought provoking exhibit, The Power of Children explores the history-altering lives of Anne Frank, Ruby Bridges and Ryan White. On a much lighter note, a current exhibit, back by popular demand, is Barbie: The Fashion Experience. I dare anyone to tour this exhibit and not rush home to search for their own long lost Barbie, Skipper and Ken! The largest urban state park, White River State Park and Canal offers a variety of outlets for activity including walking canal trails, bikes, and paddle boat rental. The White River State Park is home to several museums as well as the Indianapolis Zoo and is considered one of the six Cultural Districts within Indianapolis. 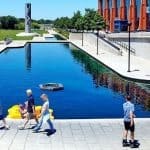 Although it may seem odd to combine these two categories, an 8-mile Cultural Trail serves as an urban bike and pedestrian path connecting neighborhoods, the six cultural districts and downtown Indianapolis landmarks. Other Districts include Broad Ripple, known for its abundance of nightlife and home to Butler University, and Fountain Square containing art galleries, antique shops and a historic Duck-pin Bowling Center. Indiana Avenue presents a look at historic African American venues and entertainment options like the Madame Walker Theater, while the popular Mass Ave holds a variety of independent restaurants, theatres, pubs and galleries. The Wholesale District is located in the heart of Downtown and is the sports hub of Indianapolis and serves up over 200 restaurants and numerous shopping outlets. 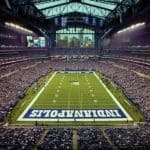 Tens of thousands of football fans will be getting a little taste our city on February 5th for the SuperBowl – but Indianapolis is super all year round. Whether for a day-trip or weekend stay, there is so much more to this sporting town than sports.